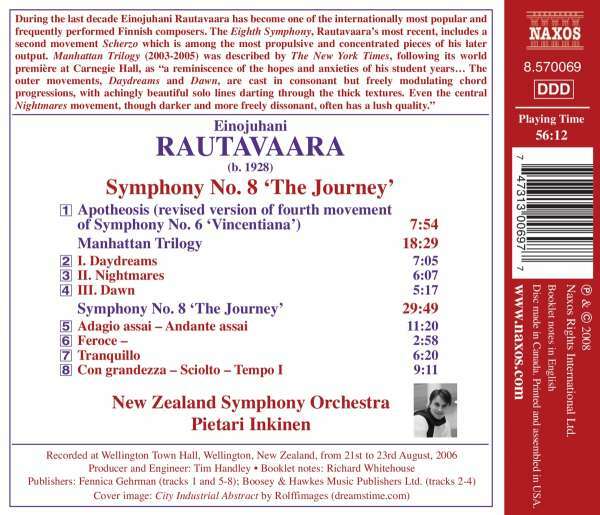 Einojuhani Rautavaara: Symphonie Nr.8 "The Journey"
Der Artikel Einojuhani Rautavaara (1928-2016): Symphonie Nr.8 "The Journey" wurde in den Warenkorb gelegt. 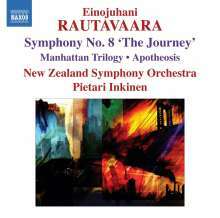 During the last decade Einojuhani Rautavaara has become one of the internationally most popular and frequently performed Finnish composers. 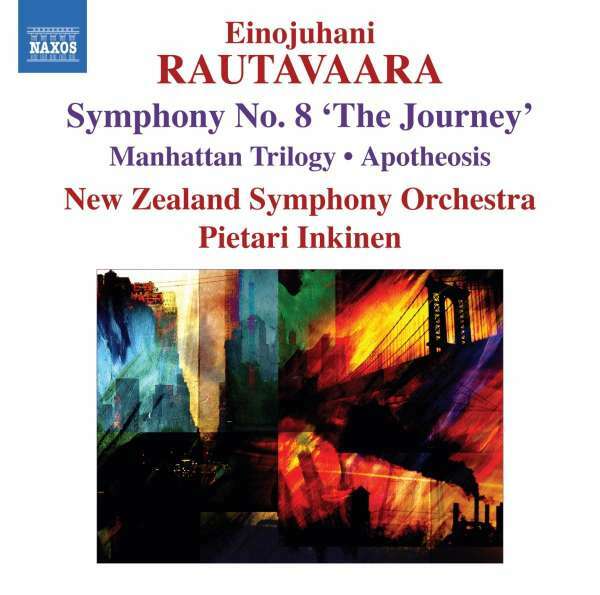 The Eighth Symphony, Rautavaara's most recent, includes a second movement Scherzo which is among the most propulsive and concentrated pieces of his later output. Manhattan Trilogy (2003-2005) was described by The New York Times, following its world première at Carnegie Hall, as "a reminiscence of the hopes and anxieties of his student years... The outer movements, Daydreams and Dawn, are cast in consonant but freely modulating chord progressions, with achingly beautiful solo lines darting through the thick textures. Even the central Nightmares movement, though darker and more freely dissonant, often has a lush quality."" Konzert für Vögel & Orchester "Cantus Arcticus"
Symphonie Nr.7 "Angel of Light"